If you or a loved one is having trouble sleeping, try these tips to leave insomnia behind and enjoy better health no matter what your age. Avoid sleeping pills, as they can cause serious side effects and don’t address the underlying cause of insomnia. Some studies have shown they can even make it worse in the long run. Switch medications: Ask your doctor about the medications you’re taking. If you suspect one of these may be interfering with your sleep, you may be able to take something similar that won’t affect you as much. Changing the dose or the time of day you take the medication could also help. Ask your doctor: If you suspect that you or a loved one may be experiencing memory problems, check with your doctor for a diagnosis. If you’re seeing the early signs of dementia or Alzheimer’s, early treatment can help delay the progression, and may also lead to better sleep. Urinary problems, GERD, respiratory issues, restless leg syndrome, and more should all be discussed with your doctor to determine how you can improve your sleep. Consider sleep therapy: If you have sleep apnea or other respiratory issues that make it harder to sleep well, ask your doctor about therapy options. CPAP therapy for sleep apnea has shown to be very effective, and supplemental oxygen may also be helpful in some instances. Even a humidifier may make it easier for you to breathe at night. Ease your pain: If you have pain keeping you up at night, look for solutions. Over-the-counter pain relievers are only one option. Acupuncture, massage, injections, and other types of pain relief have shown to be very effective depending on the type of pain you have. Most areas now have pain relief clinics that can help you find the right solution for your discomfort. Use tea: A number of herbal teas can help you relax and go to sleep more easily, and unlike alcohol, they won’t interfere with your deep sleep. Try chamomile, lemon balm, valerian root, lavender, skullcap, rooibos, and passionflower. Go to bed on an empty stomach: Particularly if you have trouble with heartburn, give yourself at least three hours between your last meal and bedtime. Try to do most of your digesting before you lie down to avoid uncomfortable symptoms that can keep you awake. If you still have trouble, prop your head up with an extra pillow. Exercise daily: Exercise helps work your body so your muscles are tired and more ready to sleep. Being sedentary, on the other hand, leads to a restless body and mind. Try to be sure you’re getting in at least a 30-minute walk every day. Going for 45 minutes is even better. Regular strength straining is also good for improving sleep quality as well as muscle strength and balance. Improve your sleep environment: Many people have trouble sleeping because they have a poor sleeping environment. Make sure your mattress is supportive and comfortable. If it’s over 8 years old, consider replacing it. Keep the room very dark—use heavy, dark drapes and avoid excess lighting. Keep the television out of the bedroom, along with all computers, tablets, and smartphones. Don’t overheat the room—we sleep better when it’s slightly cool. Practice a before-bed routine: What you do before you go to bed can significantly affect your quality of sleep. Try not to eat at least a few hours before bedtime. If you get the munchies, go for a very small snack that is soothing, like yogurt, a small bowl of cereal, or a few pears or piece of whole-grain toast. Turn all the technology off at least an hour before bedtime, and engage in a relaxing activity like reading, taking a warm bath, or meditating. Turn down the lights and perform some light stretches to ease muscle tension. Go to bed and get up at the same time every day, even on the weekends. Get out in the sun: Our exposure to sunlight helps set our circadian rhythms, which in turn, help us to feel sleepy at the right time. Older adults are often indoors a lot. Try to be sure that you get outside for at least 30 minutes a day to soak up some sunshine. Mesothelioma Cancer What is Mesothelioma? Mesothelioma is a serious malignant tumor that affects the torso of the human body. 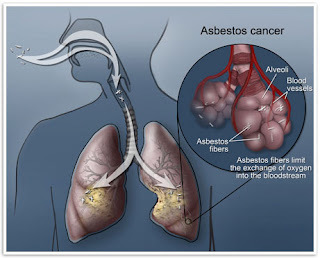 There is a strong link between mesothelioma and contact with asbestos particles via breathing or swallowing. There are three common forms of mesothelioma: 1. Pleural Mesothelioma is the most common form of Mesothelioma. It starts in the chest cavity (after breathing the particles) before spreading to other areas. 2. Peritoneal Mesothelioma starts in the abdomen (after swallowing the particles) and accounts for about 10-20% of Mesothelioma patients. 3. Pericardial Mesothelioma is the rarest form of Mesothelioma. 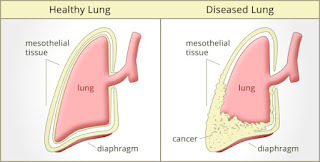 Mesothelioma is a form of cancer which occurs in thin membranes (called the mesothelium) lining the chest, lungs, abdomen and sometimes the heart. Although quite rare, mesothelioma symptoms strike more than 200 people each year in the United States. The majority of mesothelioma cases are directly linked to asbestos exposure. Because of the long latency period of mesothelioma, the average age of patients is between 50 and 70 years. Mesothelioma affects men most due to the high exposure of asbestos in industrial typed jobs. 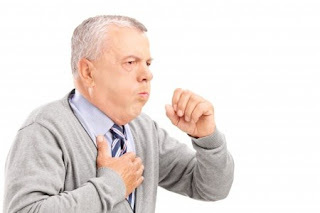 Mesothelioma symptoms include respiratory problems, shortness of breath, continual cough and pneumonia. Other mesothelioma symptoms include weight loss, abdominal problems and swelling. In some mesothelioma patients, the mesothelioma symptoms are quite muted, making it hard for mesothelioma doctors to diagnose. Doctors use a variety of tests to diagnose mesothelioma, including imaging scans, blood tests, biomarkers, and biopsies. Early detection is the best way to improve your chances of survival. If you have been diagnosed with mesothelioma, connect with a specialist who can help you create a personalized treatment plan. How did I get this terrible disease? Should I get a second opinion? What does this diagnosis mean for me, my family, and others that I care about? Could I have been misdiagnosed? How will I be able to pay for treatments? These and similar questions are perfectly natural. The best way to get information about your specific situation is to connect with a mesothelioma doctor who can answer your questions.